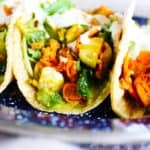 Spicy Smoked Vegan Taco With Garlic Cashew Cream. I think that the best food can be found inside of a taco. 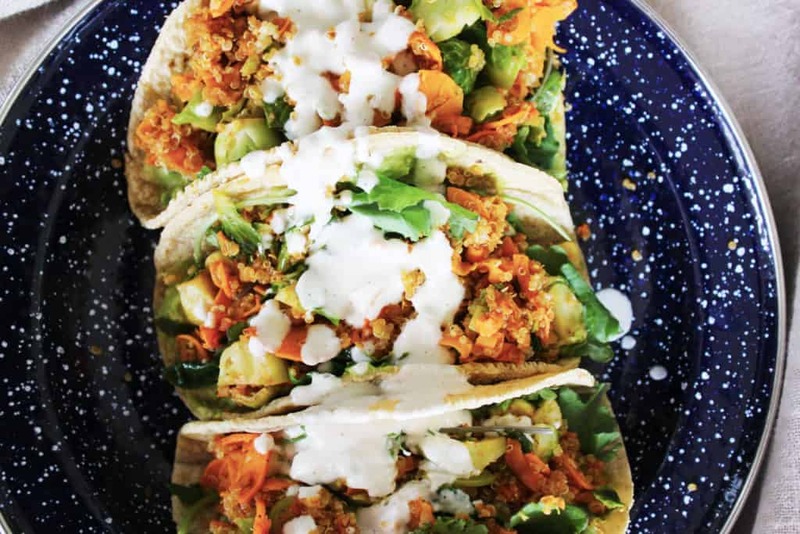 There are so many varieties of tacos, and they can be tossed together quickly with whatever ingredients you have on hand. Since going gluten free, corn tortillas have been essential to my feeling that I can still love food without being deprived. 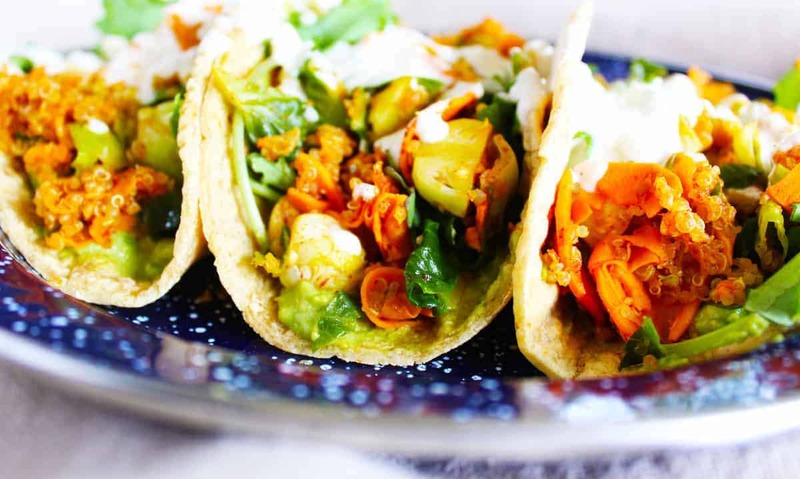 Staying with my main theme of trying to fit as much nutrition into a square inch as possible, I have combined cauliflower, sweet potatoes and brussel sprouts for a delicious and filling taco base. We have spiced it with with garlic, smoked paprika, chipotle and the best fats–avocado and cashews. I had no idea how they were going to turn out, but seriously, these tacos bring the flavor. Healthy, tasty tacos! Vegan, gluten free, dairy free. Mix cashews, water, garlic, lemon juice, zest and salt in blender until smooth.